5 tones and 8 songs in total, excellent piano makes wonderful tone. 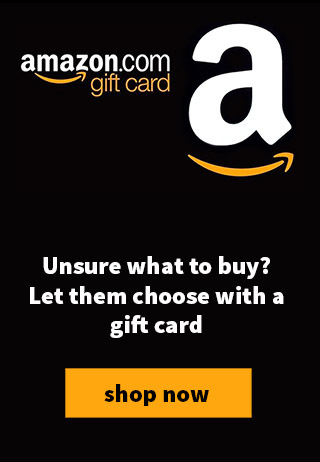 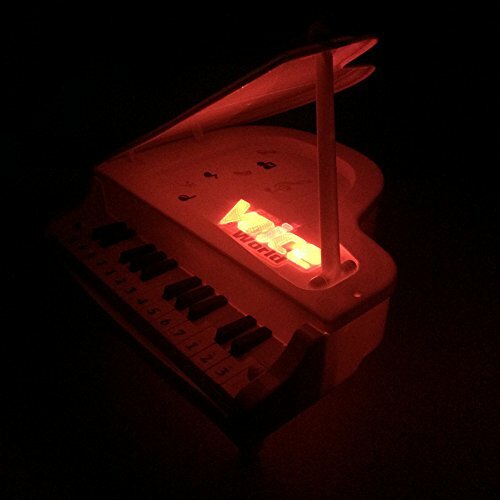 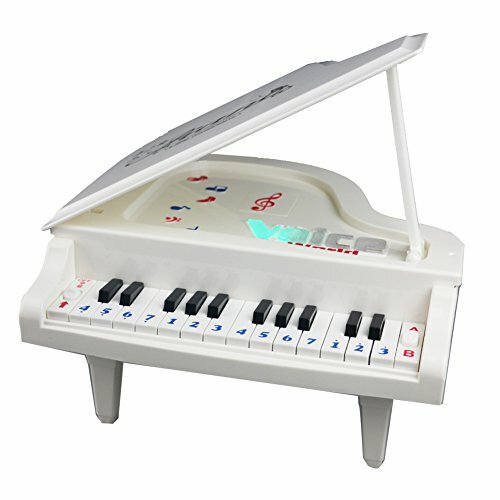 It plays lovely tunes as you hit the keys or play the song,the sound is really good. Eye catching lights come along with the several songs, adding the overall fun of it which will captures kid’s attention. 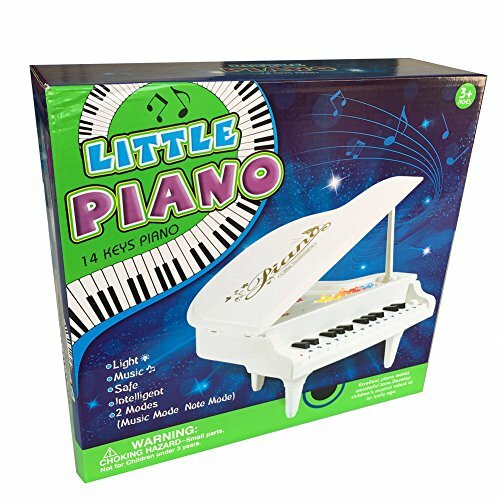 The lid of the piano can be opened with the support rod to adjust the height of the lid. 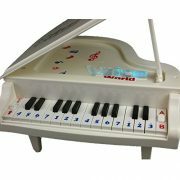 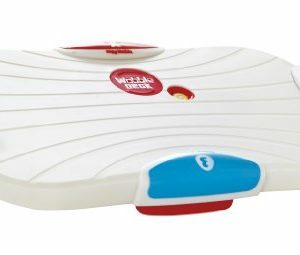 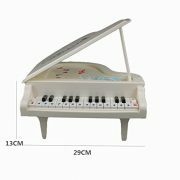 5 tones and 8 songs,kids can play the keyboard for finger exercise;it can also just listen to the music song when taking a rest. The piano has been optimized, the screw has been added to stabilize. 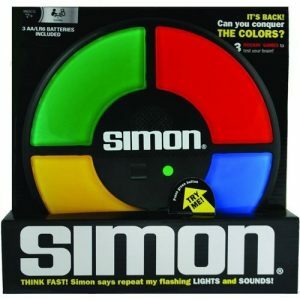 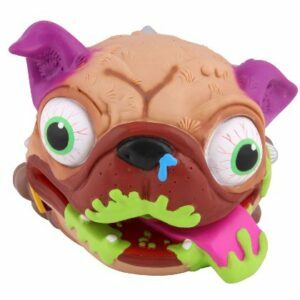 Tips:This is just a toy for kids,the top black keys do not make a sound and are just for show. 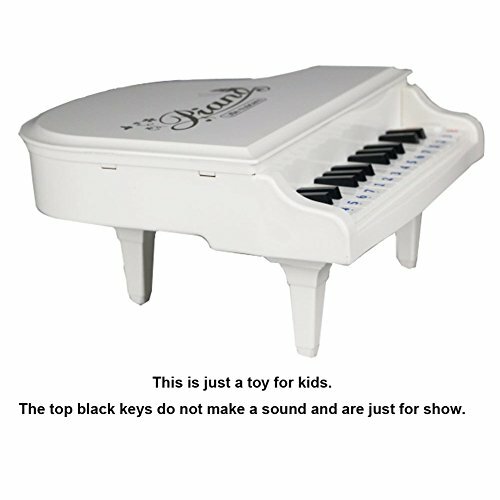 Tips:The top black keys do not make a sound, just for show.